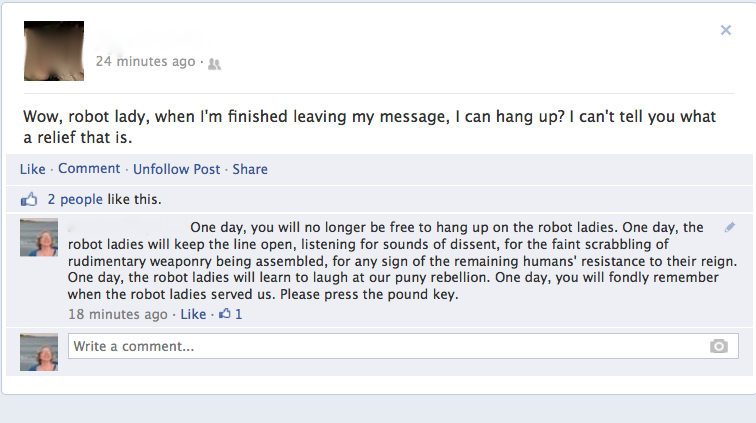 One day, you will no longer be free to hang up on the robot ladies. One day, the robot ladies will keep the line open, listening for sounds of dissent, for the faint scrabbling of rudimentary weaponry being assembled, for any sign of the remaining humans’ resistance to their reign. 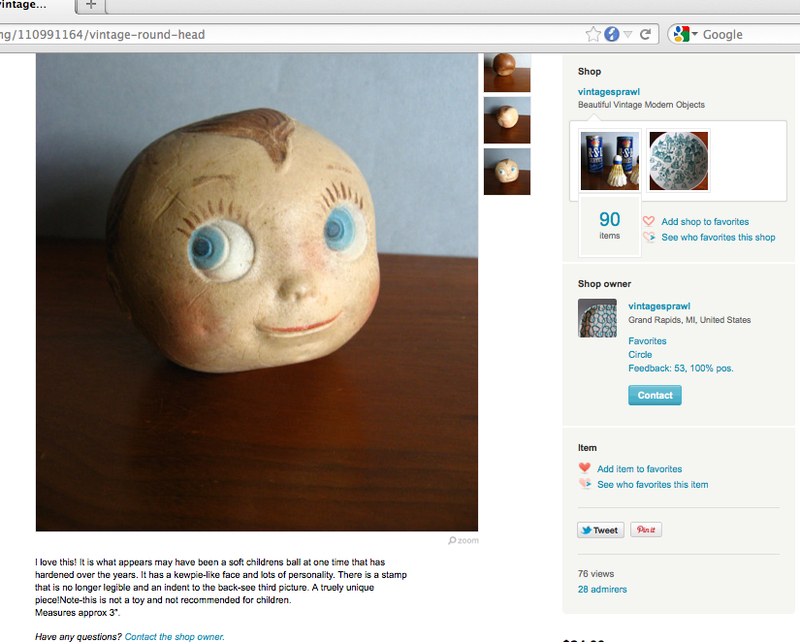 One day, the robot ladies will learn to laugh at our puny rebellion. One day, you will fondly remember when the robot ladies served us. Please press the pound key.